PeakNation™, you may recall that Douglas County teacher and cyberbully, Michelle Grissom, who wrongly accused a high school student of training with #HitlerYouth after the pro-life rally in Washington, D.C. We made a stink about it. 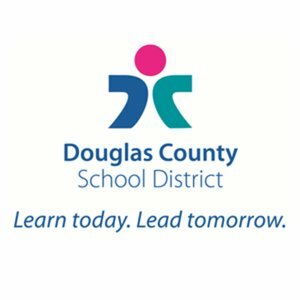 The Douglas County community made a stink about it. She was put on paid leave. She’s still on paid leave, which in our mind just amounts to a paid vacation. Must be nice. Since Douglas County Schools placed her on leave, Grissom has collected $18,505 and maintained her benefits, according to one community group. She was put on leave in February when the Superintendent recommended she be fired. When will Grissom actually be fired? What are we missing here? In the wee hours this morning, former Vice President Joe Biden announced that he was planning to run for the President of the United States (along with approximately 54 of his Democratic colleagues). While Biden talks a good game about fighting for the soul of this country, it should be noted that he’s pretty freaking creepy when it comes to women, and, especially, young girls. The compilation below will make you cringe, but it’s a friendly reminder of how inappropriate he is. If you’re a woman, we imagine that this will make your skin crawl. Now that the Democratic state legislature has completed its task of steering votes away from GOP presidential candidates through the Popular Vote Law, they’re focused on cornering more votes for themselves by adjusting the voting age ever so slightly. They were hoping no one would notice. But, we did. 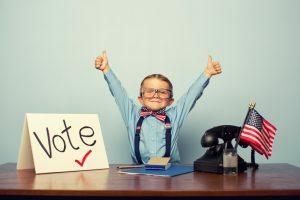 Sponsored by Senate Majority Leader Stephen Fenberg and state Rep. Susan Lontine, the Colorado Votes Act allows 17-year-olds kids to vote in party caucuses and primaries if their 18th birthday falls before Election Day. That way, 18-year-olds don’t just pick up a ballot all by themselves and try to cast it on Election Day like they normally would. Young voters are in need of party indoctrination, preferably, Democrat, according to how we read the bill, which has already passed the House and now moves to the Senate. We’re not saying teenagers spend all their time watching videos on sports and getting make-up tips (just the ones we know). Some are actually very involved in community activism and politics under the direction of teacher unions the public school system. And, we’ve seen many others keenly getting up to speed on the latest congressional debates on their cell phone, while driving all over the road in front of us like drunken NASCAR racers. Republicans argue Democrats are not aiming to making voting easier for everyone, just the target groups they think will vote Democrat — like young kids and those dependent on government Medicaid checks. We disagree that the electorate put these guys in office because of this policy, but it’s a bad look for them, nonetheless. Democrat Sen. Faith Winter, a sponsor of the legislation, accused opponents of offering amendments based on hyperbole, according to the Denver Post, which got the exclusive scoop. What’s more likely here is that Winter, like so many of her colleagues this year, is refusing to believe the economic realities of bad public policy, which has been a theme at the legislature this year. First, the program is a tax. Bottom line. Not a fee. So, it would need to go to a vote of the people. Second, the fund would have been ripe for fraud. Third, the fund itself would not have been financially sound, which has never stopped Democrats before, but who’s counting. The study is scheduled to be completed in time to make recommendations for a 2023 start date for the program. This was bad policy that deserved to die a painful death. After being laid over for what seemed like an eternity, it appears as though it has. Consider this a strike against the efficacy of Winter and evidence that she cannot handle complex financial topics. It’s like deja vu all over again. Just a couple of years ago, enterprising consultants attempted to put a cigarette tax in the Colorado State constitution – Amendment 72. Needless to say, it ended badly. The consultants blew through millions in cash from hospitals and other nonprofits only to lose. 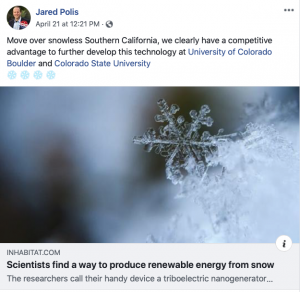 Apparently, that lesson has not yet sunk in because liberal Governor Jared Polis is back for more. Yesterday, Polis announced that he was seeking to put a cigarette and vaping tax on the ballot this year and, today, he made good on that promise via a press conference to raise cigarette and vaping taxes to 62% of the purchase price or nearly nine cents per cigarette. It’s insane. Additionally, the tax isn’t on online purchases, so people who buy Juul pods online by the ton, for example, will not pay this tax, so it only hurts local businesses. Not to mention, this disproportionately impacts low-income Coloradans more than the average Coloradan – partially because they are more likely to smoke, but also because the tax takes up a higher percentage of their income. 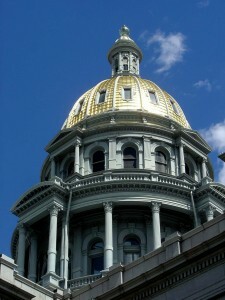 Great move by the Colorado legislature – hurting small businesses and punishing low-income Coloradans. No word on whether this year’s ballot push will have a creepy bear as a mascot. It should go without saying that those who commit heinous crimes lose all sense of freedom, and that includes the right to vote. But some Democrats, including presidential contenders Bernie Sanders and Kamala Harris, think that these criminals should have the right to vote. We want to know – and we think it’s the responsibility of the media to ask – whether Colorado Democrats also feel this way. Specifically, we’re talking about Secretary of State Jena Griswold, U.S. Congressmen Joe Neguse and Jason Crow, and U.S. Sen. Michael Bennet. Can we agree that these five gentlemen (we use this term loosely) have forfeited their right to participate in the Democratic process? What are we missing here? 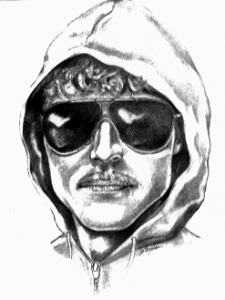 Journalists must ask Griswold, Polis, Neguse, Crow, and Bennet whether these men deserve to participate in this process. We say no. Just when it looked like Colorado voters were in near revolt over stupid laws passed by the All Democrat Band controlling the state legislature, another brick in the bucket is about to send them into full, pissed-off mode. The Colorado Supreme Court has announced they will make the final decision on the magazine gun ban that initiated the great recall of 2013, ejecting state Sens. Angela Giron of Pueblo and John Morse of Colorado Springs, who were replaced with Republicans. 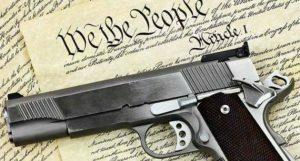 The court challenge brought by Second Amendment supporters and Rocky Mountain Gun Owners was decided in their favor by the Colorado Court of Appeals, which ruled the magazine ban unconstitutional. Giffords Law Center to Prevent Gun Violence Litigation Director Hannah Shearer says it would be surprising if the state supreme court were to deviate from those decisions. According to a tweet by 9News‘ Kyle Clark, Jamie Giellis, a liberal Democrat running for Denver’s Mayor, sent out approximately 25,000 mailers to (presumably) Republicans in Denver claiming Republican support. The only problem is that the mailer didn’t come from a group called “Republicans for Jamie Giellis.” Such a group doesn’t exist. It came from the Giellis campaign. Awkward. A campaign finance complaint already has been filed. The campaign has about a month to fix the campaign finance error. Then, again, the mayoral election is on May 7th, so it may not impact the election. The Giellis campaign said that the lack of disclaimer was a simple oversight. While Republicans are certainly nowhere near the majority in Denver, with such a crowded primary, it is clear that Giellis is looking for any advantage possible in the race. We saw a photo of a resolution for a joint session at which Governor Polis was planning to speak making its way around social media this week. It made us scratch our heads. The resolution called Governor Polis “His Excellency” which is typically reserved for heads of state, as in heads of countries or international bodies. Some claimed that Polis had snagged the honorific for himself because of his high opinion of himself. We also considered the possibility that his caucus was playing a joke on him as we’ve heard rumblings that they are frustrated with his heavy-handed management of the legislative process from his Governor’s perch. He may have a high opinion of himself, but a quick search of the Colorado General Assembly showed that the tradition actually started with former Governor, now Presidential candidate, John Hickenlooper in 2016. That said, we still had to ask – why “His Excellency”? Was this even correct? The answer is no, according to Emily Post. That honorific is reserved for Ambassadors. We’re not sure why or how “His Excellency” was introduced into the legislative lexicon, but it’s wrong. That said, we giggled at the thought of Democratic staffers having to refer to former Governor Hickenlooper and current Governor Polis as “His Excellency.” Given the level of control each has attempted to exert over Coloradans’ lives, it did seem to be somewhat Freudian. CORRECTION: Alan Franklin, a 50-year old intern at ProgressNow who was actually denied a promotion in order to advance Ian Silverii of all people (and that says a lot), is adamant that we credit him with discovering that Colorado Gov. John Routt also used “His Excellency” in 1876. This proves that Hickenlooper was not the first. Fine, who cares. It’s the wrong usage in either case and just a wildly ridiculous honorific for the Governor of Colorado. But since Franklin and the clowns at ProgressNow have obviously solved every problem in Colorado, we’re happy to help them on this next mission. Good news from the global warming/climate change front, which has threatened for years to reduce snowfall and effectively put our ski resorts out of business. It turns out climate change is actually producing too much snow and it’s the winters that could kill us all. We know it’s true, because Gov. Polis posted it on his Facebook page. With winters expected to increase in severity because of climate change, generating power in the cold, snowy season will likely become a major issue in years to come. Fortunately, scientists from UCLA just invented a way to produce energy from snow. 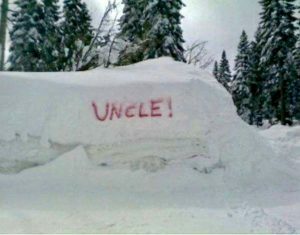 So that’s one problem solved for the high country. Now all Eagle County has to do is figure out how to reduce the forest fire threat —which liberals are insisting once again is caused by climate change — rather than the decades of neglect that allowed a beetle infestation to kill mountains of trees.